DETROIT -- Daimler AG's Mercedes-Benz unit sold more luxury cars than BMW AG in the U.S. market last month, bolstered by a new sporty C-class model. Mercedes's U.S. deliveries jumped 23 percent to 22,637, while the BMW brand's sales rose 13 percent to 21,873, according to statements by the automakers on Tuesday. BMW kept the lead for the year with 199,552 vehicles. BMW increased incentives by 35 percent per vehicle last month, while Mercedes-Benz's discounts fell by 15 percent and discounts on Toyota Motor Corp.'s Lexus models declined 12 percent, according to TrueCar.com, a Web site that tracks automotive sales. "There was weakness on the 3 series for BMW as it's winding down," Jesse Toprak, vice president of industry trends at TrueCar.com in Santa Monica, Calif. "Dealers were pressured to aggressively clear out the end of the model year. 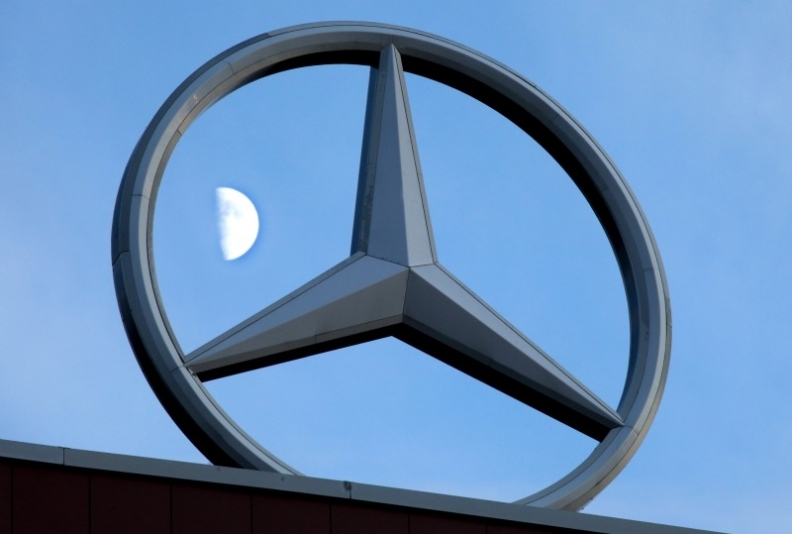 Mercedes has newer products so they can create value with less incentives." Mercedes-Benz's October sales were boosted by an 88 percent gain in sales of the top-selling C class. U.S. dealers sold 192,695 Mercedes-Benz vehicles in the first 10 months of the year. Lexus sales last month tumbled 14 percent to 18,092, the company said in a statement. Lexus has been the top-selling luxury auto brand in the U.S. on an annual basis for the past 11 years. Its lead over BMW narrowed to 9,216 last year, less than half the 19,473 gap in 2009. Mercedes finished in third place last year. General Motors Co.'s Cadillac sales fell 12 percent to 11,975 in October. The brand's newest vehicle, the SRX, was up 13 percent to 4,984. The rest of the brand reported slow or declining sales. Sales of the CTS sedan, Cadillac's top seller this year, fell 7.6 percent. Sales for GM's luxury brand were down because the DTS and STS sedans are being discontinued, Kurt McNeil, vice president of Cadillac sales, said on a conference call. He also said that BMW outspent Cadillac by $1,500 a vehicle in sales incentives and Mercedes-Benz spent $800 per vehicle more. The results exclude Daimler's Sprinter vans and Smart cars, as well as BMW's Mini brand, which aren't luxury vehicles.